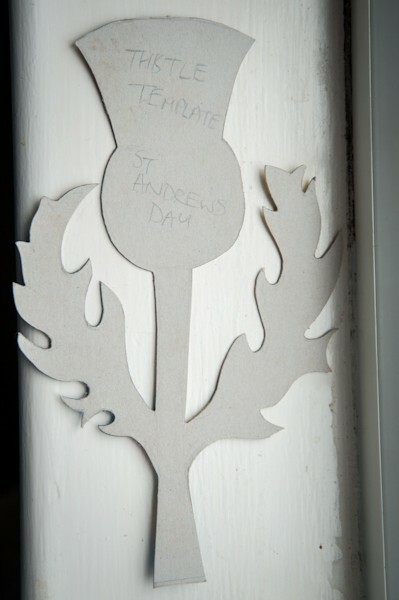 It is St Andrew's Day on Friday, so we've been doing a little bit of thistle collage today. 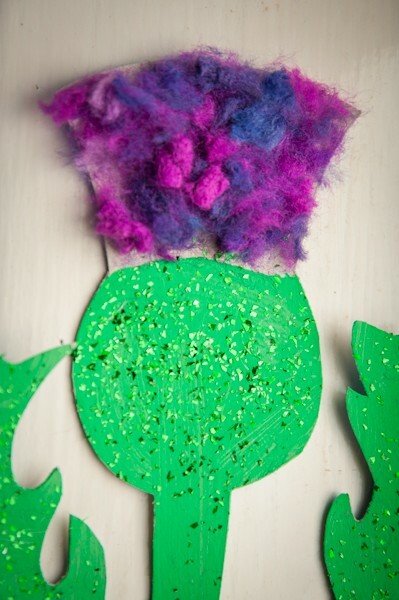 First you need to draw a thistle shape onto your card. If you're feeling arty, you can copy our template (photo below) or sketch your own from a photograph or picture, if not you could try this one here or do an internet search for a different image. Once that is drawn, cut it out with scissors. Glue all over the flower head and stick the pink/purple collage material in place. I would be even better if you can use some interesting textures to show the fluffiness of the purple flower. Paint the stem and leaves with green paint and sprinkle with green glitter whilst it is still wet. 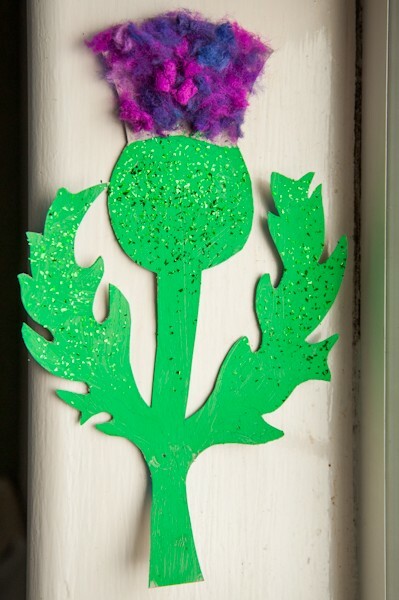 This adds a more textured to look, just like a real thistle has. You could add a little tartan bow (but we didn't have any in our craft cupboards) or if you have more time, you could even make a Scottish flag using a sheet of blue paper and white cross formed using white masking tape. 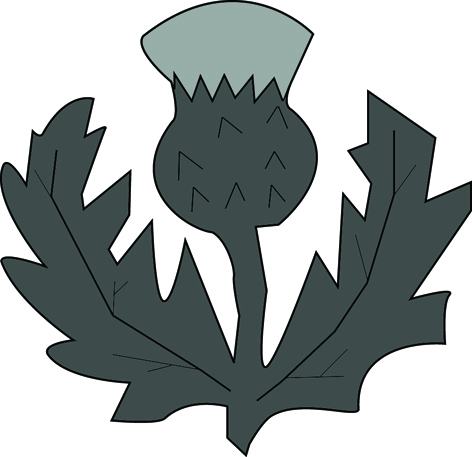 Once your flag is ready, mount your thistle in the centre. This would be great if you could find some green scratchy or fibrous materials to use instead of green paint, to really show the contrast in texture between the stem and the flower. Back to Christmas crafting next week!